Man: . . . they could be in court forever! Like an algorithm with no terminating condition! Woman: Where is Dr. Knuth when we need him? 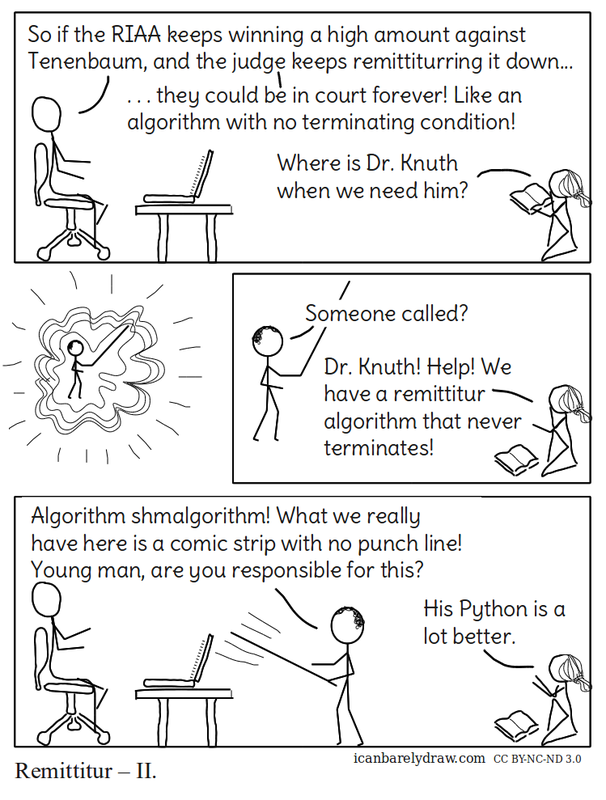 Woman: Dr. Knuth! Help! We have a remittitur algorithm that never terminates! Knuth: Algorithm shmalgorithm! What we really have here is a comic strip with no punch line! Young man, are you responsible for this? Woman: His Python is a lot better.